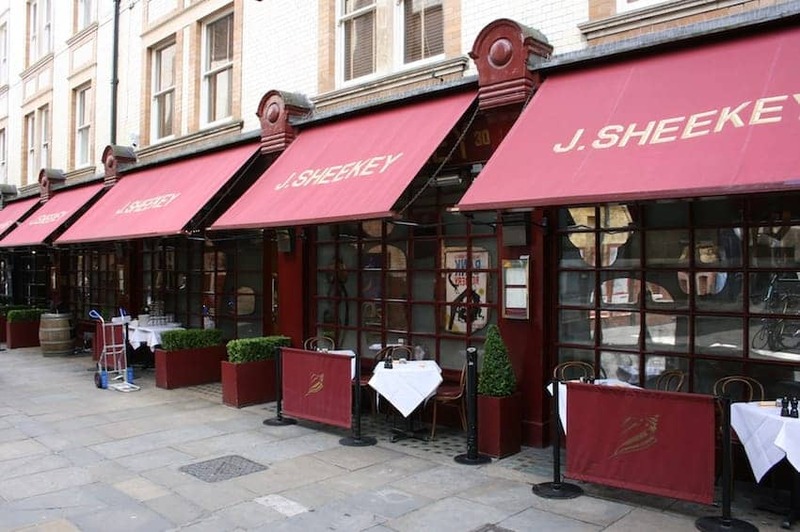 J Sheekey's historic fish and seafood restaurant is located in London's theatre district. Its heritage dates back over a century to 1893 when a market stall was set up on the site selling fish and shellfish. Fresh seafood and professional service are now on offer in the wood panelled dining room with leather banquette seating. Photographic prints line the walls. Classic dishes range from fish stew to lobster thermidor. More recently an Oyster bar has been added next door. Stars of stage and screen are no strangers here and there have been many A listers spotted over the years.